Are you a scientist doing research that could benefit from high-performance computing, but aren't sure you can manage the technology? We've found your champion. For many researchers who require large amounts of computational firepower, limited funds means they often lack access to the high-performance computing (HPC) resources critical for their work. This is where the Extreme Science and Engineering Discovery Environment (XSEDE) Campus Champions step in. Champions are responsible for connecting academics with national HPC resources like Jetstream if the researchers lack them locally. Crowd in the cloud. Cloud-based virtualization means more scientists will be able to bring their research into the high-performance computing era. XSEDE Campus Champions make it easier. Courtesy Indiana University. “HPC is a pretty complex product to introduce to a new user,” Indiana University Campus Champion Abhinav Thota says. Champions connect domain scientists with the wide variety of research tools Jetstream offers, such as the virtual machines configured to domain-specific needs that allow scholars to complete their work from any location and make work easily sharable for collaboration purposes. While a common challenge Thota faces is explaining the specifics of HPC, he also faces another issue in linking researchers with HPC services. Previously, many researchers had to work with cumbersome text-based command line interfaces (CLIs). GUIs, however, incorporate windows, icons, and menus that display information visually, allowing scholars to instantly see results and computations in an interactive way. Smaller institutions depend on local computing systems that are prone to backlogs, processing limitations, and lack connectivity to national resources. Research tools like Jetstream eliminate old problems and provide new services because scholars can access XSEDE’s resources from laptops, tablets, or desktop computers, making HPC assets accessible from any location. Michael Souffrant, a graduate researcher at Georgia State University, has benefitted from XSEDE’s resources. “Our goal is to simulate models that represent enzymes or random structures and study different states,” Souffrant says. With the help of the Champions, Souffrant has published work on distinctive water recognition motifs in proteins in the Journal of Chemical Information and Modeling. 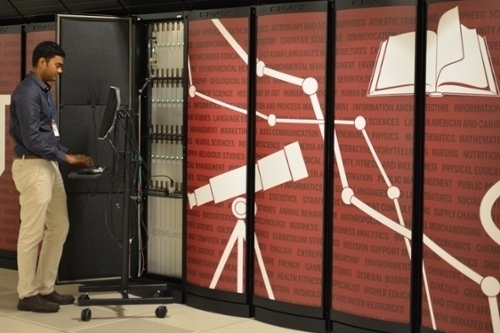 In addition to Jetstream, Champions link scientists with a dozen XSEDE supercomputers, such as Stampede at the Texas Advanced Computing Center, Comet at the San Diego Supercomputer Center, or Bridges at the Pittsburgh Supercomputing Center. 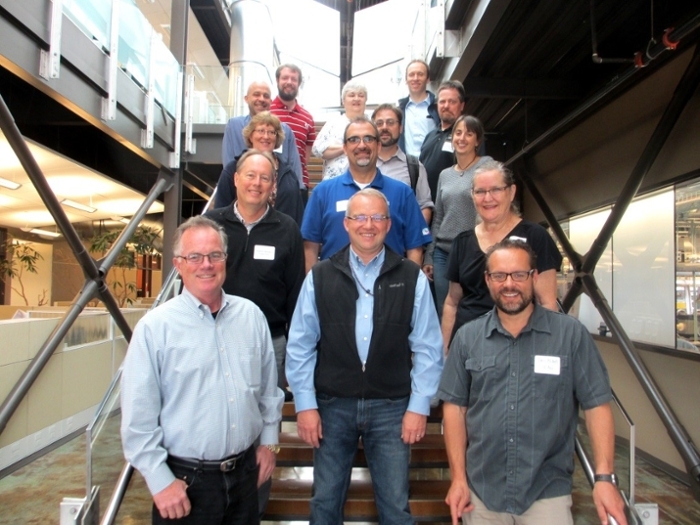 “There’s a lot of great programs within XSEDE that you can find a good match for what you’re looking for,” says Ben Nickell, the Champion at the Idaho National Laboratory. If you'd like to learn more, contact one of the 232 institutions across the country with an XSEDE Campus Champion, including 19 at minority-serving institutions.